The Carbolite HZS-2G Gradient Tube Furnace is specifically design to provide a temperature gradient along the length of the heated zones. 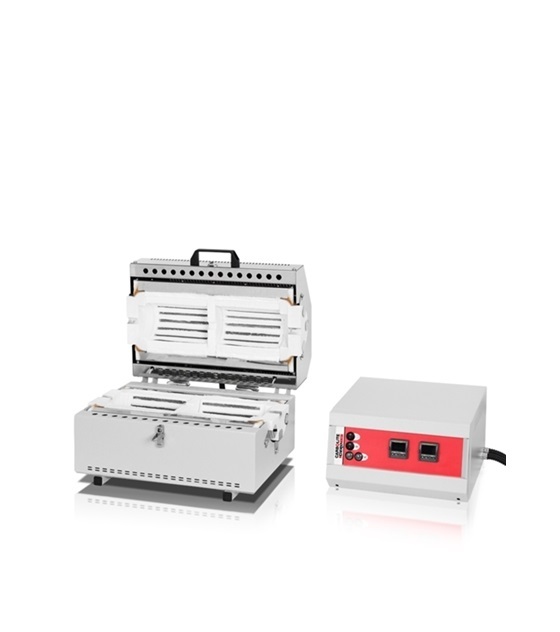 The two independent zone HZS-2G 12/425 split tube furnace comprises a furnace body which is hinged and split into two halves along its length. This makes exchange of work tubes easier and also enables the furnace to be used with reactors or work tubes where end flanges would make insertion into a non-split furnace difficult. The 2-zone HZS-2G furnace includes a 25 mm long unheated zone barrier between the two 200 mm heated zones. Each heated zone has its own temperature controller and thermocouple.